Did Elon Musk jump the gun over his announcement to take Tesla private? Elon Musk unveiled his underground transportation tunnel on Tuesday, allowing reporters and invited guests to take some of the first rides in the revolutionary albeit bumpy subterranean tube the tech entrepreneur's answer to what he calls "soul-destroying traffic." Guests boarded Musk's Tesla Model S and rode along Los Angeles-area surface streets about a mile away to what's known as O'Leary Station. The station, smack dab in the middle of a residential neighbourhood "basically in someone's backyard," Musk says consists of a wall-less elevator that slowly took the car down a wide shaft, roughly 30 feet (9 meters) below the surface. The car jostled significantly during the ride, which was bumpy enough to give one reporter motion sickness while another yelled, "Woo!" 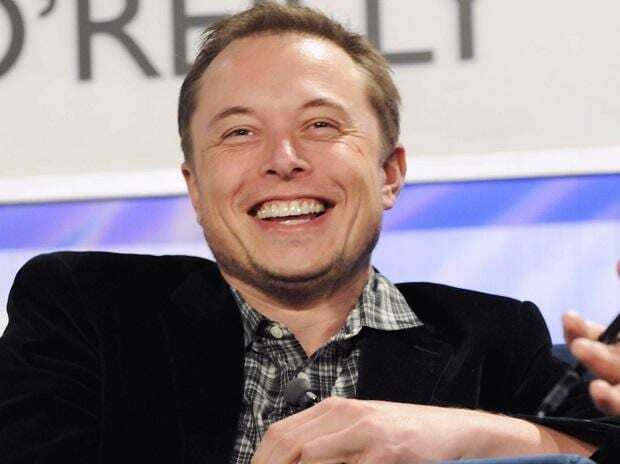 Musk described his first ride as "epic." "For me it was a eureka moment," he told a room full of reporters. "I was like, 'This thing is going to damn well work.'" He said the rides are bumpy now because "we kind of ran out of time" and there were some problems with the speed of his paving machine. "It'll be smooth as glass," he said of future systems. "This is just a prototype. That's why it's a little rough around the edges." Later in the day, Musk emerged from the tunnel himself inside one of his cars. He high-fived guests and pumped his fists in the air before delivering a speech in the green glow of the tunnel about the technology and why it makes sense. On Tuesday, he explained for the first time in detail how the system, which he simply calls "loop," could work on a larger scale beneath cities across the globe. Autonomous, electric vehicles could be lowered into the system on wall-less elevators, which could be placed almost anywhere cars can go. The cars would have to be fitted with specially designed side wheels that pop out perpendicular to the car's regular tires and run along the tunnel's track. The cost for such wheels would be about $200 or $300 a car, Musk said. A number of autonomous cars would remain inside the tunnel system just for pedestrians and bicyclists. Once on the main arteries of the system, every car could run at top speed except when entering and exiting. "It's much more like an underground highway than it is a subway," Musk said. The demo rides were considerably slower 40 mph (64 kph) than what Musk says the future system will run at: 150 mph (241 kph). Still, it took only three minutes to go just over a mile from the beginning to the end of the tunnel, the same amount of time it took to accomplish a right-hand turn out of the parking lot and onto a surface street even before the height of Los Angeles' notorious rush-hour traffic. Tuesday's reveal comes almost two years to the day since Musk announced on Twitter that "traffic is driving me nuts" and he was "going to build a tunnel boring machine and just start digging." "I am actually going to do this," he added in response to initial skepticism. Soon after, he began The Boring Company, tongue in cheek intentional. "The footsteps of someone walking past your house will be more noticeable than a tunnel being dug under your house," he said, The Boring Company canceled its plans for another test tunnel on Los Angeles' west side last month after a neighborhood coalition filed a lawsuit expressing concerns about traffic and disruptions from trucks hauling out dirt during the boring process. However, Steve Davis, head of The Boring Company, said the interest in the tunnel systems has been significant anywhere from five to 20 calls a week from various municipalities and stakeholders. "Wouldn't it be incredible if you could travel around LA, New York, D.C., Chicago, Paris, London anywhere at 150 mph?" Musk said. "That'd be phenomenal." Musk's representatives also unveiled on Tuesday a new tunnel-boring machine they say they hope to have online soon, one that can bore four times faster than the one they've been using.